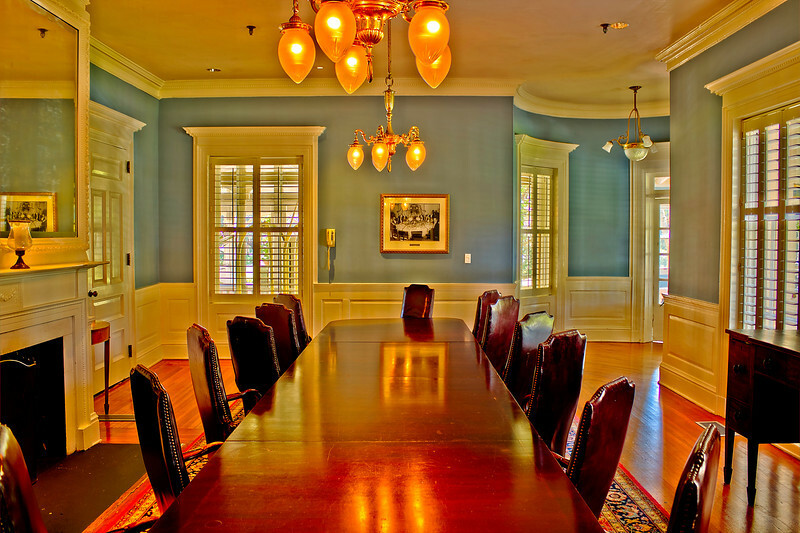 The room where The Federal Reserve System established Jekyll Island Club Hotel. This is my attempt at multiple (more than 3) shots to get outdoor and indoor image, this was 9 AEB shots 3 above 3 in the middle 3 below with a canon T2i with no flash before I knew about the Promote Control. Processed with Photomatix Fused not tonemapped. In real life you could see outside better but it was mid afternoon, would like to do at sunset colors outdoors, great colorful sunsets in the spring and fall.